18TH CENTURY FRENCH FAIENCE INK WELL WITH TOP (ENCRIER). FROM NEVERS, CIRCA 1780. 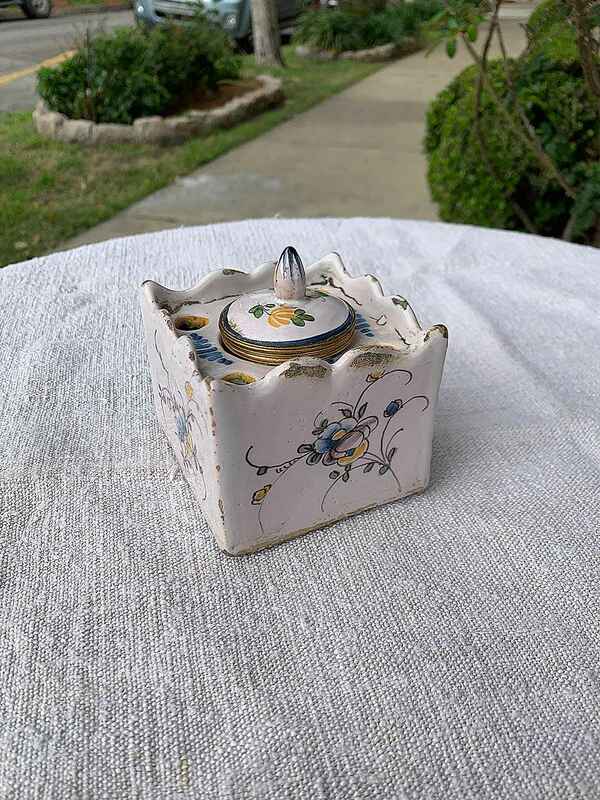 H 3½" W 3¼" D 3¼"
18TH CENTURY FRENCH FAIENCE INK WELL WITH TOP (ENCRIER). FROM NEVERS, CIRCA 1780. H 3½" W 3¼" D 3¼"